GOOGLE CLASSROOM CODE: elpo0a (All lowercase & that's oh zero.) Make sure you sign up for the correct class. Devoirs: Complete the "Quel age as-tu?" 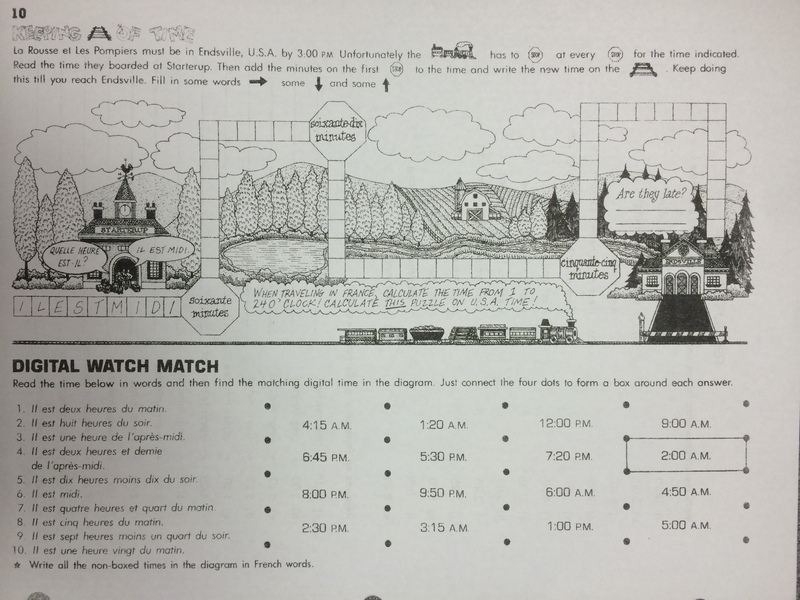 handout p1.2-5.2 including song and "Devoirs" section below the song. Links to the listening sections are below. 16/9/15 That's right, no homework tonight. 2015-2016 STUDENTS, IGNORE THE dates BELOW THIS MESSAGE. MERCI BEAUCOUP. Bonjour, Classe! Aujourd'hui, c'est le 20 mai, 201﻿5, et vous travaillez sur ligne à Languages Online ET Doulingo, see below. Begin with sections 33, 34 & 35. If, by any chance, you complete ALL sections of those three sections, move on to review other topics of French I interest on the French Main Page. It's fun, it's easy so... Ready. Set. and GO! Have fun, learn lots! p.s. Click on the links below. Do the Languages Online "work" before beginning your "studying" with Duolingo. Another "coolish" site follows, Yes, you have to make an account, using me as your teacher. Send me regular updates. Here's your link to Duolingo.com! Lastly, here's your HOMEWORK on PNS & Partitive articles! And LISTEN to Partitive Articles in French, below. Begin here and work your way up. April 24 A-Day: Quizlet Study School Supplies, work from Friday's notes will be done in class. House homework assigned April 22 & 23. Also view this lovely PPT on time as part of your lesson on 27 & 2. HW assigned on 25/02/15 half sheet Quel heure est-il? 15 clock faces. Number clocks left to right from top row down, on a separate sheet of paper, write complete sentences telling the time shown on each clock face. 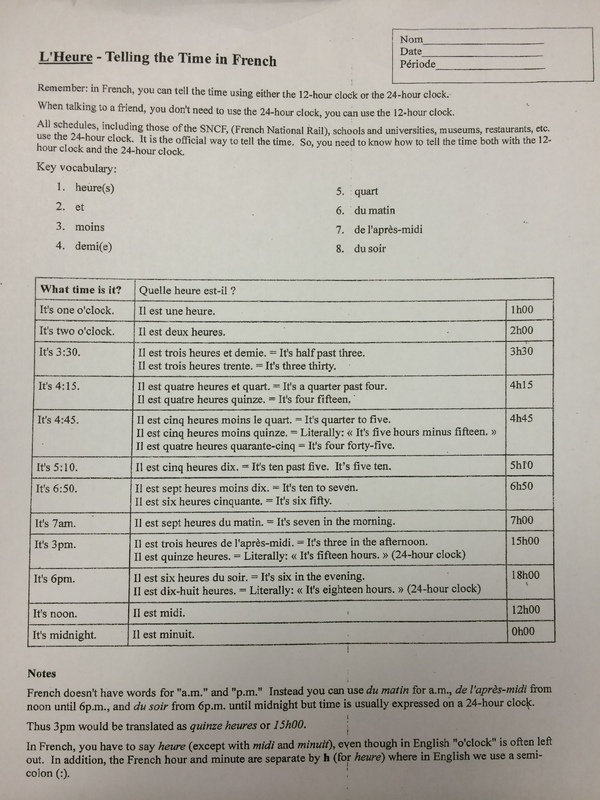 Then read 1-5 and determine whether the person(s) are early, late or on time. See the notes on image to the left. 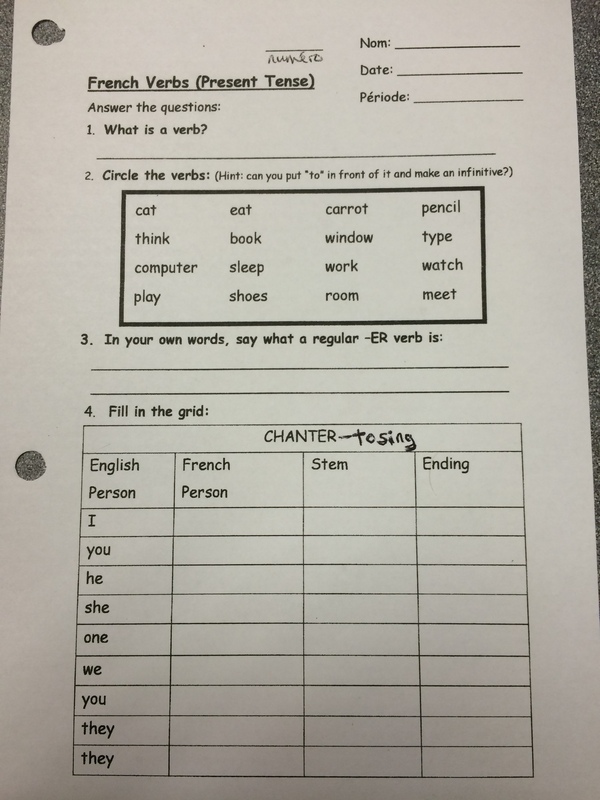 For 6-8 write your own sentences similar to those in 1-5 in such a way that Madame can read and determine the same. Power Point for Class Work for Thursday, February 12, 2015--Un poème pour Le Saint Valentin. Work Sheet for Thursday, February 12, 2015-- Un poème pour Le Saint Valentin. C'est quand ton/son/votre anniversaire PPT was lost in the Great Hard Drive CRASH of late August, 2014 and is no longer available. Les Adjectifs: masculin et feminin titled Adjectives (describing words). It's #5 on the list below. Assignment for 13 & 14 Jan.
J'aime ma famille writing activity.